If you have previously added and published a custom product, then deactivated it, you are able to republish it at any time. 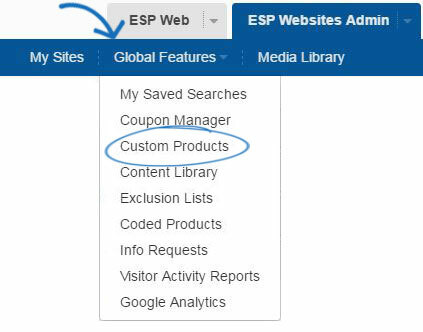 After logging into the ESP Websites Admin, click on Global Features and select Custom Products from the dropdown. Use the search within bar to do a partial match search for your custom product by the product name or use the guided navigation. After locating the product, click on the Make Active button. Your product will become live on your site within 24 hours.